I’ve been a book lover and a lover of reading my entire life! It all started when I was a little girl. I had an insatiable appetite for fairy tales, and none of the adults in my family had the bandwidth to read me fairy tales all day (after all, they had other things to do!) So I taught myself to read at age four so I could read fairy tales to my heart’s desire. 🙂 Reading books, articles and studies helps us to learn from another person’s lifetime of experience — this kind of knowledge is power! Most of us also read at twice the rate it takes us to listen or watch something, so reading is the fastest way to gain power! I started off with fairy tales, then moved onto the Anne of Green Gables series and read a lot of books for entertainment in my younger days, followed by a lot of technical books in my undergraduate and doctorate studies (and I still often do read those books), but the genre of books that has resonated most with me is self-help! Self-help is the ultimate empowerment. Why rely on someone to heal you, when you can learn to heal yourself and use doctors and professionals as a source, rather than a savior? When I was going through my Hashimoto’s journey, I read a lot of health related books, articles, and research and pieced them all together to create a plan of healing for myself. At the time I was going through my journey, there was not a single source of information for healing from Hashimoto’s, and so, of course, I decided to create one! I love the quote: “You are today who you’ll be in five years, except for the people you meet and the books you read,” by Charlie “Tremendous” Jones. We know that we are shaped by the people in our lives and the information we consume. Whatever goal you’re hoping to achieve, I recommend building an environment that will make it easier for you! Formal schooling does that for us. For example, when I was getting my doctorate in pharmacy, I had a required reading list of books and textbooks on medicine, health conditions, pharmacology, pharmacotherapy, and other related subjects. I was also surrounded by people who had reached the same goal (my professors and mentors) and those who were looking to reach the same goal (other students). There’s no formal school for healing Hashimoto’s and autoimmune disease! We also have to do this in our own lives. If your goal is to get your health back, surround yourself with books and people that will help you achieve this goal! I’ve not just done this with my health, but also whenever I wanted to meet any other kind of goal (like starting a successful business, becoming a better conversationalist or having a more loving relationship). On average, I get 10-20 new books each month (I buy them or I receive advance copies from other authors). I usually skim through most of the books and then deep read one new book each week that is especially relevant to me personally, my work or my readers. I decided to start a book club to share with you the books that I have enjoyed and/or the ones that may be relevant to you! I’d love to share a few reviews of the books that are sitting on my desk that may be helpful in your healing journey! If you haven’t read my manual for healing from Hashimoto’s, I’d love for you to read it and empower yourself! You can find more on Amazon. If you’ve already read it, has it helped you get better? There’s no greater joy in my life than to hear that my life’s work has helped you heal! I love to write, sharing the experience I’ve had with my own healing, as well as through watching my clients heal themselves! Simple French Paleo is a beautiful book, full of images of the glorious French countryside, as well as mouth-watering French-inspired food. Sophie was able to overcome the worst symptoms of Hashimoto’s thyroiditis through nutrition, and you can too! No need to feel like you are deprived while you’re healing! 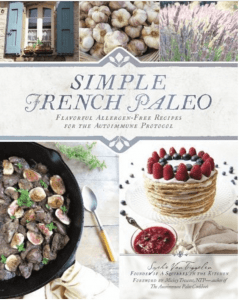 All of the recipes in Simple French Paleo are 100% Autoimmune Paleo (AIP), made of low-inflammatory, high-nutrient, real food ingredients and sooo good! You will love these recipes! 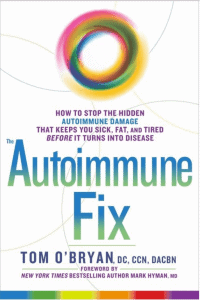 Dr. Tom O’Bryan’s book, The Autoimmune Fix, is focused on preventing disease by predicting where you are on the spectrum of autoimmunity. Our healthcare system is years behind the current research, which is covered in detail in this book. 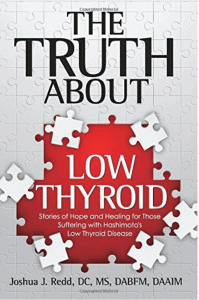 A key concept in this book is “predictive autoimmunity” where antibody tests are used to identify your weakest link at the earliest possible moment. This allows you to take action to calm the inflammation rather than wait for tissue and organ damage to take its toll, resulting in full-blown disease. There are case studies, as well as cautionary tales, that illustrate the importance of identifying symptoms of possible autoimmune disease, so we can use testing to gauge both the likelihood and type of future disease. 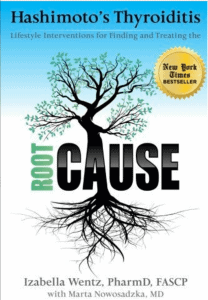 I highly recommend this book if you are looking to address — or prevent — autoimmunity in yourself or your family members. 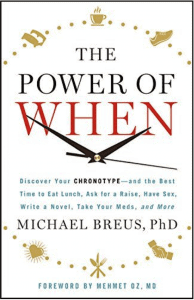 The Power of When helps you identify your biological rhythm (your chronotype) so that you can figure out the best times to do activities like sleep, be creative and communicate. When you work within your natural rhythm, you can be much more productive and relaxed! This will not only help you as an individual but also allow you to understand those around you such as your spouse, children, friends, and family members. Dr. Redd, a student of Dr. Datis Kharrazian and a chiropractic physician who specializes in Hashimoto’s, has put together a book of inspirational stories of people who have recovered their health. If you’re looking for hope from other people who have overcome this condition, you will enjoy this book — each story is different and personal and has a happy ending. 🙂 One thing to consider: this book does not have an explanation of Hashimoto’s, protocols, or do it yourself recommendations; rather stories of inspiration to guide you on your journey back to health! I hope these books help you on your journey! 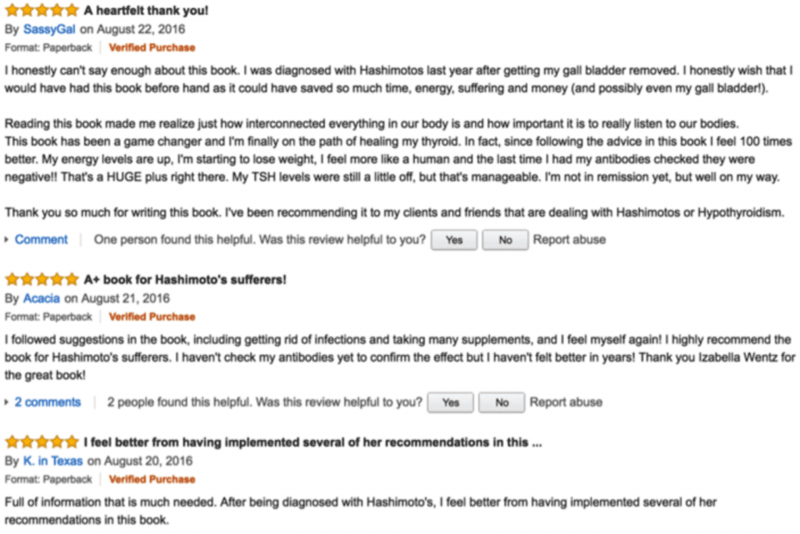 I just want to say that I had a TSH of 96 and my Thyroid Peroxidase(TPO)Ab was 566 when I got my first book on Hashimotos Thyroiditis. It was your book. 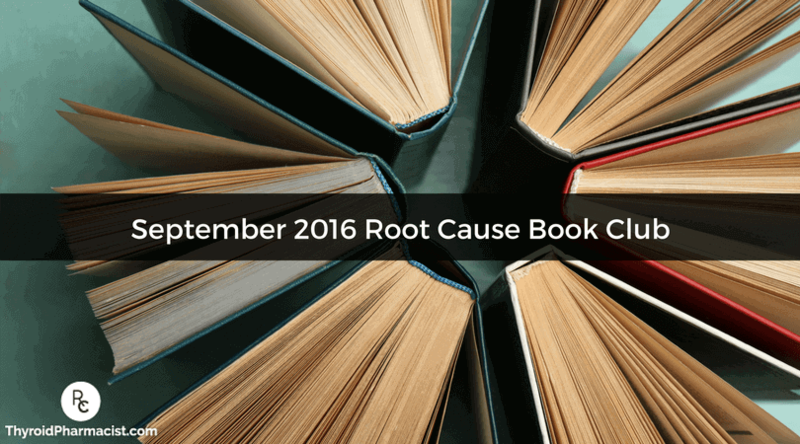 I am so glad that The Root Cause book was my first. Everything I needed to know was in there! I had been to 14 doctors for symptoms like sore throat, constipation, high blood glucose,an earache for over 4 months, etc. It took a friend (a holistic chiropractor) to notice how sick I was and get me the right tests. A year later, I am feeling so much better. Thank you for your part in my recovery. I have read it 3 times over.! Susan O.